I have been active in the Women’s Liberation Movement in the UK for over fifteen years. My political grounding was in the women’s peace movement and I spent time as a teenager living at a women’s peace camp in Yorkshire, where I gained experience in all elements of campaigning, from involvement in non-violent direct action to legal defence. I have a professional background in youth work and local government, where I focussed on domestic abuse prevention training and Safeguarding. I am an experienced trainer on domestic abuse awareness and prevention; equalities and inclusion. My work in a London Local Education Authority was recognised with an award from the GLA for contributing to the Mayor’s Domestic Violence Strategy and my school curriculum resources and teacher training packs are still being used in several boroughs as well as nationally. Coordinating policy on all aspects of anti-bullying work I also developed resources to address and reduce homophobic bullying. I am still involved in policy work on violence against women and children, particularly in the education sector and was an early founding member of the Board of Directors for the End Violence Against Women Coalition (EVAW). I have also delivered training for Women’s Aid and Welsh Women’s Aid. I am proud to be an Ambassador for the Worker’s Educational Association (WEA). I am also a Trustee of the Feminist Archive and an Executive member of the Feminist and Women’s Studies Association (FWSA). In 2004 I founded the London Feminist Network, which is now one of the largest grassroots Feminist activist organisations in the country with well over 1600 members. That same year I revived the tradition of women-only Reclaim The Night marches, which have taken place in London every November since then, now attracting over 2000 marchers from all over the UK and the rest of Europe. The current revival of Feminism has inspired other women, with Feminist Networks springing up in towns and cities from North to South, many organising their own local Reclaim The Night marches. I speak and write regularly on Feminist issues, particularly male violence against women. I am an experienced public speaker and used to working with the media, having taken part in numerous TV and Radio items, both live and pre-recorded. Including: Radio 4’s ‘The Moral Maze’, ‘Woman’s Hour’ and the ‘Today’ programme, also, LBC, Radio 5 Live, Talk Sport, Sky News, BBC News, BBC’s ‘The Big Questions’, ITN, Radio 2 etc. I completed my PhD at the University of Bristol and my academic background is in Women’s Studies (BA, First Class Honours, Lancaster University), Gender, Culture & Modernity (MA, Goldsmiths) and Policy Research (MSc, Distinction, University of Bristol). My doctoral research was on the British Women’s Liberation Movement from the 1960s to the present day. I am now a Senior Lecturer in Sociology at the University of the West of England in Bristol where I live. I am the author of “Radical Feminism: Feminist Activism in Movement” (2015) published in paperback from Palgrave. In 2006 I was recognised by ‘The Guardian’ in an article on British ‘world-changing women’. 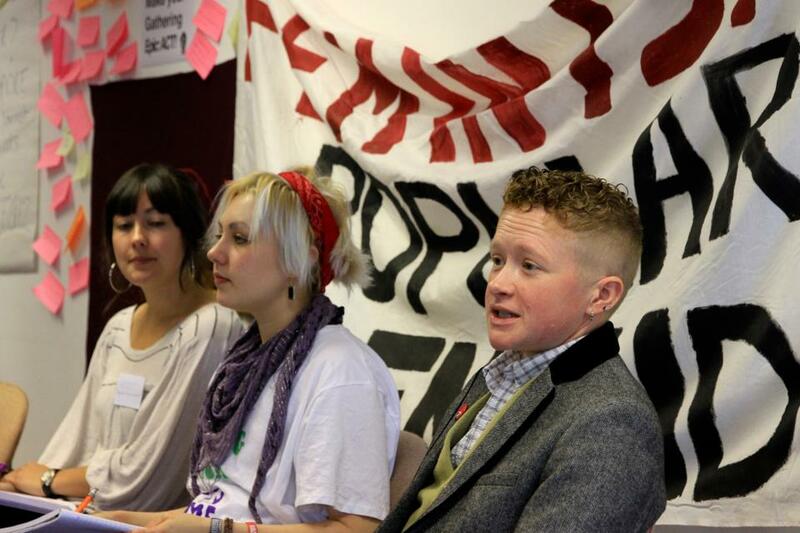 In 2010 I featured in a BBC4 documentary called ‘Activists’ as part of a series on ‘Women‘ directed by Vanessa Engle. 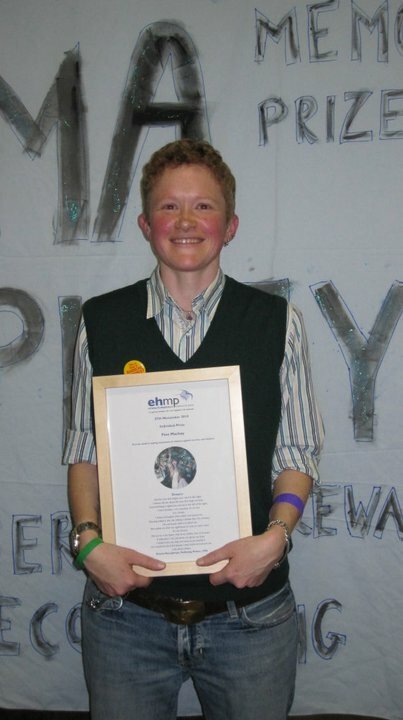 In 2010 I was the individual winner of the Emma Humphreys Memorial Prize.